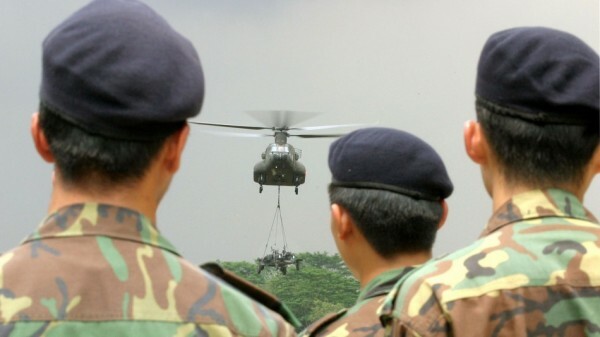 In the first case of its kind, the UK will allow a Singaporean transgender woman to stay in the country, so that she does not have to return to her home country and do compulsory military service as a man. In Singapore, males are conscripted into the army for full time national servicefor two years after they turn 18, after which they are obligated to be called up for a period of several weeks each year as a “reservist” in the army. The reservist period lasts till the man is 40, or 50, depending on his rank. The 33-year-old unnamed woman served her two-year national service term as an 18-year-old before going to the UK in 2004, where she has remained under a student visa. However, her visa was up in 2012, and she appealed to the British courts to allow her to stay, saying she found it distressing to think about having toreturn to serve her reservist obligations. She first applied for asylum in 2012 when her visa expired, but had been rejected several times, first by the British Home Secretary, and most recently in end-2014 by the UK Immigration and Asylum Chamber. Both times, the courts decided that they could not find sufficient evidence that she would face the kind of persecution in Singapore that would convince them to grant her sanctuary in the UK. However, her latest success in court comes after two judges ruled in her favour, The Guardianreports. She had told the courts of her recurring nightmares about her time in the military, and would find it intolerable to be treated as a man upon her return to Singapore. The woman would not need to serve the military if she underwent gender reassignment surgery. Although she has been living as a woman for the past decade, she is still legally recognised as a man in Singapore because she has decided against surgery.